This interactive lesson will introduce you to the concept of independent learning, its unique features and numerous benefits, as well as the steps you may take to become an efficient autonomous learner who actively takes responsibility for the content and direction of your own learning. Autonomous (independent) learning has been defined in several ways. Philip Candy (1991) elaborated on this definition by referring to independent learning as ‘a process, a method and a philosophy of education in which a student acquires knowledge by his or her own efforts and develops the ability for inquiry and critical evaluation’. This includes ‘freedom of choice in determining those objectives, within the limits of a given project or program and with the aid of a faculty adviser’. It also requires ‘freedom of process to carry out the objectives and places increased educational responsibility on the student for the achieving of objectives and for the value of the goals’ (p 13). As you can see, independent learning allows learners to ‘take charge’ of their own learning, bringing a wide array of benefits to those who take engage in it. Benson, P. (2001). Teaching and Researching Autonomy in Language Learning. Harlow: Pearson Education Limited. 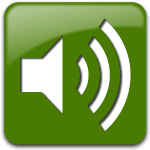 Next, listen to the 'Independent Learning Part 1' audio clip as many times as you like. Then complete Tasks B, C and D.
Next, listen to the 'Independent Learning Part 2' audio clip as many times as you like. Then complete Tasks E and F.